The 1994 New York Yankees epitomized the true meaning of team. Well balanced with grinders, veterans, up and comers and role players all around. While perhaps not as good on paper as their championship successors of the 1990’s, they had a special vibe about them. Then, the music stopped. Being from Albany, NY, that season was bittersweet for myself, on another level too. That summer I was able to watch Derek Jeter, Mariano Rivera and Andy Pettitte but after that year, the Albany-Colonie Yankees were gone. 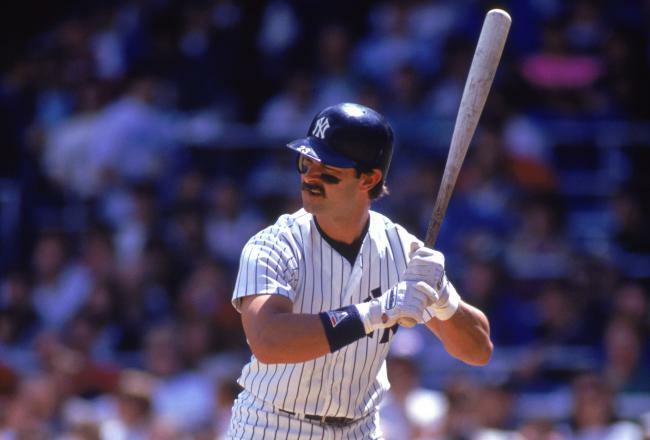 So too was the best shot at a World Series title for Don Mattingly. Sure the 1995 squad made the playoffs but the 1994 club had such great chemistry. That team boasted six players with double digits in home runs and five players batting .300 or better. Paul O’Neill won the AL batting crown, with a .359 average. Wade Boggs hit a robust .342. Between their three backstops, Mike Stanley, Jim Leyritz and Matt Nokes, they smacked 43 home runs. They also had their fair share of pop out of O’Neill, Danny Tartabull and a blossoming Bernie Williams. In the field they were steady with Mike Gallego and Pat Kelly up the middle, Boggs at the hot corner and the slick fielding Mattingly at first. The outfield speed of Luis Polonia, Williams and the arm of O’Neill, made for a solid trio as well. Plus their bench also had the likes of some of those mentioned above, along with Randy Velarde, Gerald Williams and a good mix of players that rode the Columbus shuttle. On the pitching side of things, Jimmy Key had a league leading 17 wins and finished second in Cy Young award voting. The rest of the rotation (Jim Abbott, Melido Perez, Scott Kamieniecki) all had winning records, save for Terry Mulholland. Plus they had an emerging young Sterling Hitchcock. Out in the bullpen, it was like 1981 all over again for Steve Howe, pitching to a 1.80 ERA and saving 15 contests. Bob Wickman was another workhorse out there as well, appearing in a staff high 53 games. Their young manager Buck Showalter, was among the sharpest, most hard working, in the game. It was a team that stood in first place, at 70-43, outscoring opponents 670 to 534. For Yankees fans, the dynasty that followed, lessened the blow. That being said, it is interesting to think about what would’ve happened if the season had played out, win or lose. Would that team have been kept together, win or lose? If they had won it all, would Mattingly have retired a year early and gone out on top? Would Showalter have left the stresses anyhow and bolted like Mike Keenan and Pat Riley? Would he have stayed on and continued to build a dynasty? Does a kid like Hitchcock make a splash in the ’94 playoffs, prompting the club to send Pettitte and Russ Davis to Seattle for Tino Martinez? Could a young Bernie Williams have had a rare bad first postseason, prompting an impatient George Steinbrenner to deal him, leaving center to Gerald Williams or Ruben Rivera or Ricky Ledee? What if Wickman was lights out in the playoffs and they dealt away Mariano Rivera? Might Joe Torre have been hired in 1995, upon being let go by the St. Louis Cardinals or would he have even been hired at all? Those thoughts and scenarios all range from surreal to scary. Thoughts that make one ponder if the Yankees would have 28 titles, would be working on number 23 or somewhere in between. The Yankees franchise has had its share of glory, pennants and championships. They’ve also had seasons end just short of triumph and in disappointment, think 2001, 1960, etc. Yet, unlike those teams, the most stinging thing about the 1994 Yanks will always be that they never truly received a fair shot.